Garden Photo of the Day: It actually worked out! My daughter and her husband had to find a new apartment in Brooklyn in the spring. When they finally made a decision after bidding on "houses" (really one floor of a building or brownstone) to buy, they ended up renting a two-bedroom apartment with a small terrace in a section called Carroll Gardens. The description of the place had me down. "It doesn't have as much light as our apartment," my daughter lamented over the phone. "And there is this awful looking outside space that I think we'll just have to block off." So, I went up there two weeks before they were to move to see the new place. I was astounded. It was way better than where they were (which I found claustrophobic). The kitchen and soon-to-be baby's room faced south, as did the terrace. I had held my breath when I looked out to see what had been described as "a disaster" and "hopeless." Granted, there were ugly plastic chairs and black plastic pots full of weeds. But, the tile that had been wrongly described as "extremely ugly" was actually very good-looking. I could instantly see the possibilities. The same was true of all the rooms. It seemed huge compared to where they had been and much more convenient, as well. It was mid-March when I was there, and after the bitter winter in New York, the garden shops were slow in getting in new merchandise, especially green goods. My daughter and I went to every one we could, but the necessary items for the vision I had weren't out yet. Thank goodness, my son-in-law took an interest in the terrace. He was most excited about having a place for a grill, as he loves to cook. The paved terrace is probably 14 feet off the ground and looks out at some very unsightly buildings. However, if you walk to the edge and look down, there's a lovely garden that belongs to their landlords. You can also see other gardens scattered about, some of them quite nice. The first thing I thought about was creating some sort of green background. I am a big believer in hedges. They make everything look better. I knew they needed boxwoods, and they would have to be the Korean type which are hardy up there and lend themselves to shearing. It would be too costly to line the entire space with boxwoods in planters, so we decided to do the corner to block off some of the not-so-good views. One of their requirements was to have an herb garden. The box hedge would provide a backdrop for an assemblages of containers. When it came to color, I recommended they use white flowers, since they would be there mostly in the evenings. I particularly thought of Wave petunias, because they are so fragrant at night and in the early morning. We went to Home Depot and bought a 'Climbing Iceberg' rose and a tall, narrow zinc container to set the plant up higher so it would be easy to attach to the ironwork. I also recommended long, low planters for the boxwoods. After much searching, my son-in-law and daughter finally ended up with just the right planters (ridiculously expensive for lightweight composite that looks like lead). The boxwoods turned out to be crazily over-priced, as well. But, they made a good investment, I think. Six tall thin plants and then one that had been shaped into a cylinder for the corner. They bought European-looking terra cotta for the herbs (l-r, above: rosemary, sage, lavender and thyme, rosemary), which are doing well. What you can't see in this view is the rose and a line of window boxes hanging from the railing to the left, where there are more herbs, including basil and mint. My son-in-law also planted variegated vinca to hang down from the boxes. 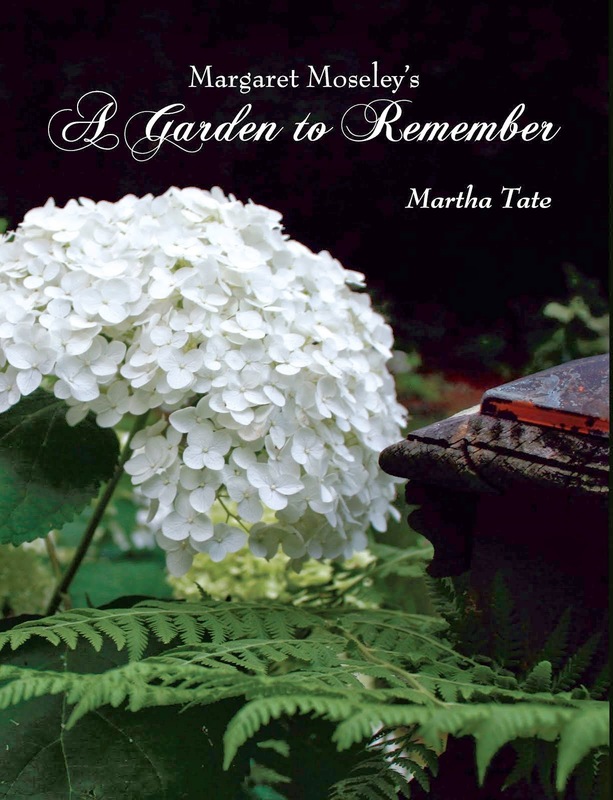 There are more pots of white petunias and for the shadier areas, white New Guinea impatiens. Two things haven't worked out so well. My son-in-law thought the rose would never bloom and kept asking me if it would be this year. Everything was late up there due to a cool spring. Finally, some buds appeared, and when you could see color, it was magenta. My daughter laughs about her husband's optimism that the rose-colored bud could turn out to be white. It was not. This was no 'Climbing Iceberg', but a mousy-looking deep-pink rose with thorns. It has no fragrance, but it is a repeat bloomer and a climber. They don't mind it as much as I do. I'm thinking we need to order an own-root 'Climbing Iceberg' from Roses Unlimited in South Carolina and go ahead and get it established. It's hard to know what to do at this point, because this mystery one is healthy and producing flowers. A second failure was my fault. I soaked some moon vine seeds and gave them to my son-in-law when they were here in late May. I also kept some for myself. None of the seeds germinated, either in Atlanta or New York. I had one that sprouted, but then it disappeared. My son-in-law found some plants in Union Square and bought them. I'm thinking they aren't moon vine but are morning glories (same genus). I worry that the foliage is a sickly green. My daughter and I passed a store where some moon vine was thriving with big, dark green leaves that had covered an entire trellis, so I'm quite sure this is the wrong plant. But, given the minor drawbacks, the terrace is the favorite place to be right now. They bought two big, comfortable teak chairs and an ottoman from Pottery Barn. There are also two French cafe chairs which I bought for my daughter's first New York apartment. I'm still looking at a blank space on the right wall opposite the fancy grill (part of the terrace is covered), thinking an espaliered camellia would be protected enough to make it. That might be wishful thinking. I was there over this past weekend, and we sat out in the cooling breezes both in the morning and in late afternoon. In midday, there's too much sun, but it is truly a paradise at the other times. I especially loved it when some friends came over Saturday evening, and we sat having chilled Côtes-de-Provence rosé and great conversation. The petunias were so fragrant, and someone crushed some lavender leaves. It was almost as if we were in another world.